Get yourself back up and running in short order with our guide to all the options you have. Our Fortnite: Battle Royale - How to heal yourself guide contains everything you need to know about recovering health on PC, PS4 and Xbox One. In a game like Fortnite: Battle Royale you never know who might be around the next corner or - more likely - in the next bush. Fights can break out at any moment and you’re likely to see a lot of action if you want to outlast the opposition and shoot your way into the final circle. Stocking up on health and armour items is an absolute must when it comes to gaining an advantage over your opponents and surviving until the bitter end. Below we’ve put together a simple guide on how best to use these precious items. PC: Select whatever slot you’ve got the item in by pressing the one of the number keys, left click and hold. PS4 and Xbox One: Swap to the relevant slot and hold down the right trigger. Need help figuring out all the controls? Our controls guide for PC, PS4 and Xbox One has got you covered. Here’s a list of all the healing and armour items you can find. Bandages - Heals for 15th health, but only up to a maximum of 75. Med-kit - Restores your entire health bar. Mini Shield Potion - Shields for 25, but only up to a maximum of 50. Large Shield Potion - Shields for 50. Slurp Juice - Gradually ups your health and shield by 25 points. Chug-Jug - Restores all your health and armour but takes 15 seconds to do so! Cosy Campfire - A placeable campfire that gradually restores health when you’re next to it. You'll need to go into the building menu to make use of it, as opposed to rummaging around in your inventory. You’ll find all of these items scattered around the environment and within chests. More potent items like Med-kits, Large Shield potions, Slurp Juice and Chug-jugs are likely to be found in chests. If you're struggling to find loot first, do make sure you check out our how to land faster page. It'll help you gear up ahead of everyone else! Here’s a few helpful tips to get the most from your healing and shield items. Take into account how long it takes to use the item - you don’t want to be caught mid-potion while fighting. It’s important that you pick and choose a safe place to heal up, retreating altogether if need be! If in doubt, use your shield items right away to give yourself maximum armour and start hoarding any others you pick up from there. Don’t underestimate mini-potions and bandages as you can stack quite a large number of them in your inventory. You never know when they might come in handy. Have a dedicated slot in your inventory for your health and shield items, so you can easily swap to them in the heat of the moment. 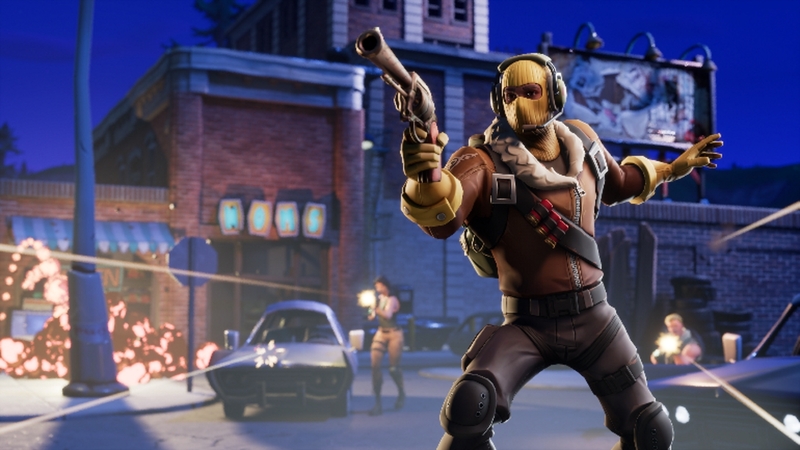 On that last night, you might like to check out our Fortnite: Battle Royale keybinds page. It'll help you optimise your controls in no time.